Wah Seong reported that its indirect subsidiary, WDG Resources SB (WDG) has entered into a Distributorship Agreement with Ammann BauAusrűstung AG (Ammann) for the appointment of WDG as an exclusive dealer of Ammann’s products within West Malaysia. While this development is positive to the Group’s earnings, we reckon the net financial impact will not be meaningful as the major contributor to the Group’s operational profit is its pipeline coating services. Hence, we are neutral on the news. Wah Seong is making good progress on the Nord Stream 2 project hence earnings growth prospects remaining on track despite job wins being slow amid a pick-up in oil and gas activities. 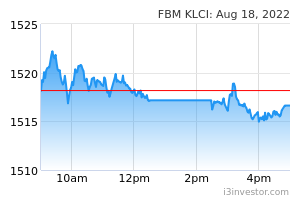 We are upgrading our call to Trading Buy in light of recent price weakness, though with an unchanged TP of RM1.64 (10x FY19F EPS). Distributorship Agreement with Ammann is mainly for the appointment of WDG as an exclusive dealer of Ammann’s products i.e. Pavers, Heavy Compaction and Light Compaction within West Malaysia - for the sales and services of the products. Based on the agreement, the contract shall be effective for an indefinite period unless otherwise terminated by either of the parties by giving three months written notice. Ammann BauAusrüstung AG (Ammann) is a subsidiary of Ammann Group with their headquarters situated in Switzerland. Ammann Group is a world leading supplier of mixing plants and machines and in providing services to the construction industry with core expertise in road building and transportation infrastructure. It has about 160 dealers and 30 agents in more than 100 countries around the world. Earnings forecast. While the distributorship is expected to contribute positively to the earnings of the WSC Group over the period of the agreement, we keep our forecast unchanged as further details of the agreement remains unknown. In addition, we think the net impact is not likely to be meaningful to the Group’s operating profit numbers as the major contributor is still its pipeline coating services. Outlook. 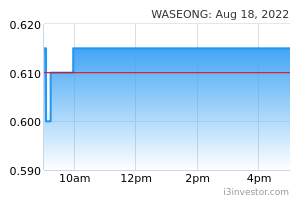 Wah Seong’s earnings outlook is expected to remain stable up to next year backed by its healthy orderbook in hand of RM2.5bn including RM472m new contracts YTD. This will also be supported by sizeable tender book of RM5.8bn, mainly from pipeline projects in Australia and Europe. The status of our local pipeline projects i.e., Trans Sabah Gas Pipeline and Multi Products Pipeline are uncertain. Oil and gas offshore activities have picked-up in recent months but more on brownfield projects which are less capex-heavy amid operators’ cost vigilance. Pipeline coating services are typically applicable to greenfield projects, hence partly explaining its slower job wins.